Hepfner Racing Products is a leader in the design and manufacturing of sprint car wings & components. Pit Stop USA is The Online Motorsports Superstore! 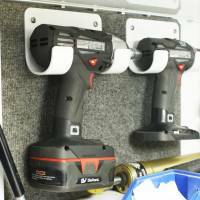 We feature Cordless Drill Holders at low everyday prices. Pit Stop USA is The Online Motorsports Superstore! We feature Digital Tachometers at low everyday prices. Pit Stop USA is The Online Motorsports Superstore! 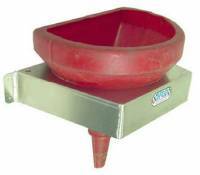 We feature Fuel Funnel Holders at low everyday prices. Pit Stop USA is The Online Motorsports Superstore! 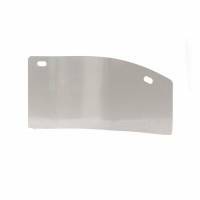 We feature Gauge Mounting Panels at low everyday prices. Pit Stop USA is The Online Motorsports Superstore! 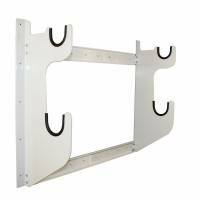 We feature Gauge Mounts & Brackets at low everyday prices. Pit Stop USA is The Online Motorsports Superstore! 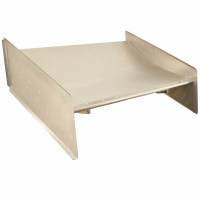 We feature Header Racks at low everyday prices. Pit Stop USA is The Online Motorsports Superstore! We feature Heel Risers at low everyday prices. Pit Stop USA is The Online Motorsports Superstore! We feature King Pins & Caps at low everyday prices. Pit Stop USA is The Online Motorsports Superstore! 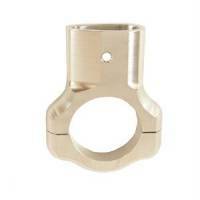 We feature Magnetos Point Box Mounts at low everyday prices. Pit Stop USA is The Online Motorsports Superstore! We feature Nitrogen Bottle Racks at low everyday prices. Pit Stop USA is The Online Motorsports Superstore! We feature Nose Wings at low everyday prices. Pit Stop USA is The Online Motorsports Superstore! We feature Radiator Air Boxes at low everyday prices. Pit Stop USA is The Online Motorsports Superstore! 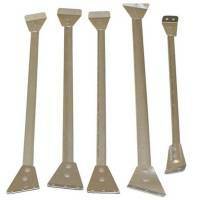 We feature Radiator Supports at low everyday prices. Pit Stop USA is The Online Motorsports Superstore! We feature Radiators & Accessories at low everyday prices. Pit Stop USA is The Online Motorsports Superstore! We feature Rock Screens at low everyday prices. Pit Stop USA is The Online Motorsports Superstore! We feature Setup Block Sets at low everyday prices. Check out the Recently Listed Shop/Trailer Organizers. Pit Stop USA is The Online Motorsports Superstore! 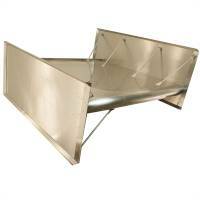 Hepfner Racing Products is a leader in the design and manufacturing of sprint car wings and components. 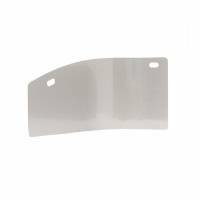 HRP Sprint Car Top Wings are CNC punched and formed, each Wing is identical and all internal components are formed and lightened. HRP aSupera Nose Wing is tall and angled with a 1" dish for increased downforce. Exclusive recessed rivet design means greater strength, improved aerodynamics, quicker mud removal and easier vinyl application. CNC punched and formed, each wing is identical. 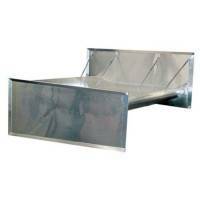 HRP Radiator Aluminum Air Box fits 20" wide radiators in Maxim or Eagle chassis. HRP Radiator Rock Screen is made of .050" thick aluminum with billet frame and fitted with a stainless steel mesh, protects radiator from rocks and debris. HRP Roll Cage Rock Screen is black powder coated, mandrel bent steel Screen attaches to the roll cage of most chassis and adds protection for driver. HRP Sprint Car Front Bumpers are available in lightweight aluminum or stainless steel. HRP Sprint Car Rear Bumpers are Stainless steel and fit Maxim, Eagle and Stealth chassis. HRP Sprint Car Nurf Bars are stainless steel and fit Maxim and Eagle chassis. Tubular, telescoping HRP Rear Wing Trees support the rear of the top wing and reduce wind resistance on Eagle or Maxim chassis with HRP top wings. Hepfner Racing Product offers HRP Sprint Car Brake Pedal, HRP Heel Riser, HRP Power Steering Top Plate, HRP MSD Box Mount, HRP Aluminum Two-Gauge Mount, and HRP Tel-Tac Dash Mount Brackets for the cockpit of your sprint car. HRP Tire Siper quickly and precisely sipe tires for better traction. HRP Torque Ball Shield protects driver's legs and feet during a u-joint failure. Hepfner Racing Products Trailer Accessories include HRP Wall Mount Spacer Tray, HRP Fuel Funnel Wall Rack, HRP Tire Gauge Holder, HRP Header Rack, HRP Ratchet Strap Holder and HRP Nitrogen Bottle Holder. We feature Hepfner Racing Product Sprint Car parts at low everyday prices!